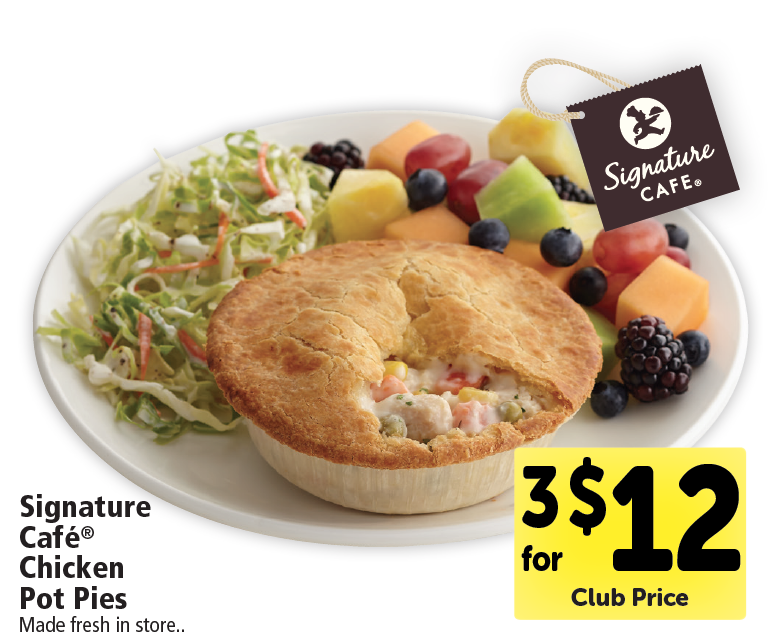 Signature Cafe Chicken Pot Pies – New at Safeway and on Sale! 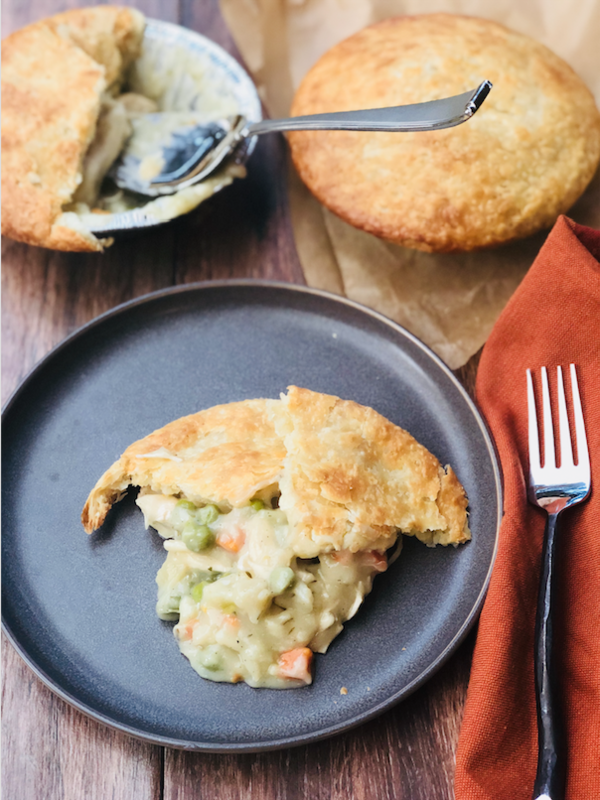 The folks in the Safeway deli are cooking up some delicious comfort food in the form of fresh chicken pot pies that you can heat and eat at home. The new menu item under the Signature Cafe brand is a super flaky chicken pot pie made fresh daily in store using the rotisserie chicken that is also prepared in-store daily. The Signature Cafe chicken pot pie has a delicious creamy sauce and is full of tender, shredded, roasted chicken, diced potatoes, diced onions, carrots and peas as well as savory herbs like thyme and parsley. But let’s be real – a chicken pot pie is all about the crust and let me tell you this crust is amazing! Incredibly flavorful, flaky and just perfection! It was my favorite part of the meal and luckily there is enough of it because it generously hangs over the edge of the pie dish. These new Signature Cafe chicken pot pies are assembled and baked every morning in the deli and then refrigerated, so you can heat and it them at home. They are served in a round metal pot pie pan, which is not intended for the microwave, rather you use a toaster oven, or your conventional oven on 350 degrees to heat the chicken pot pies for about 15 minutes until it’s heated through. 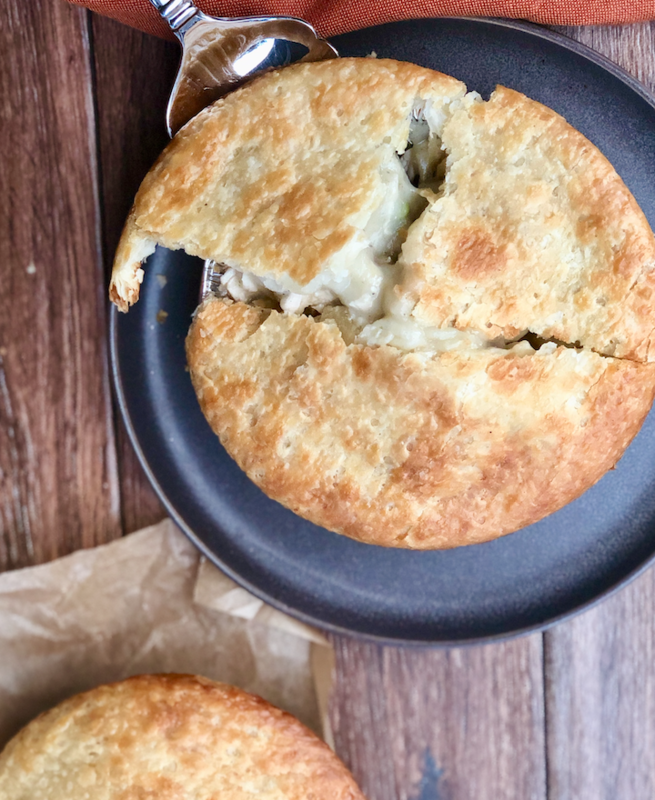 The aroma of the chicken pot pies baking in your home oven will be your first clue at how amazing these pot pies taste! Perfect for when you want a homemade comfort meal, but you don’t have the time to prepare on your own, or you don’t want the mess in the kitchen! I picked up two chicken pot pies at my local store and honestly was able to feed myself and my 3 kids with the 2 pot pies, they are such a great size at 14 oz each! I would serve with a side salad for an extra serving of vegetables. 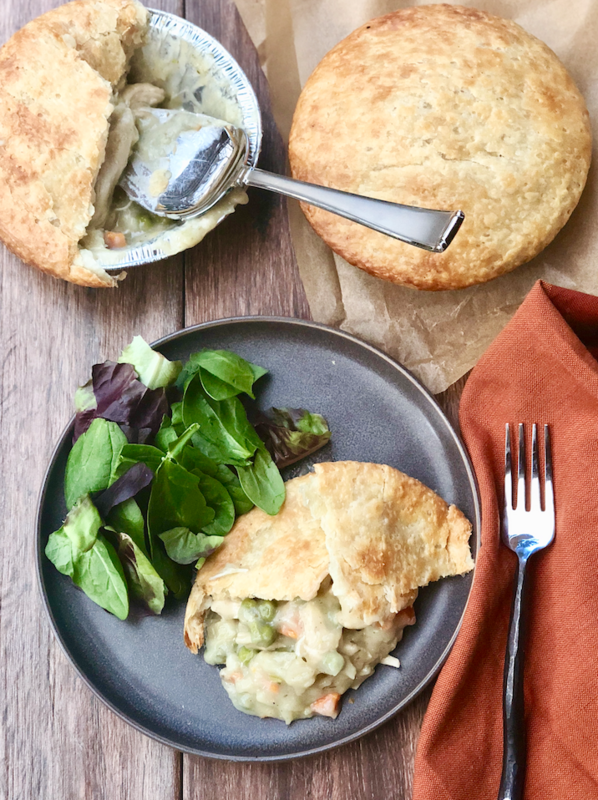 Signature Cafe Chicken Pot Pies are regularly priced $5.49 each, but they will be on promotion throughout the year for $3.00 – $4.00 at your local Safeway. This is a sponsored post on behalf of Safeway to introduce the new Signature Cafe Chicken Pot Pies available exclusively in the Safeway deli. As always we appreciate your support of the brands that make this site possible. Delicious – I buy them for home, and I’m also buying them for my skeptical friends……………..Thank you! Wonderful! So glad to know you like them! What do you recommend for heating time and oven temp? 350 for 15 minutes. Great question- updated the post to add that info. Our local deli man recommended these a couple months ago when they were first introduced. I’m a chef and have a few restaurants in The City (SF) so I was reluctant to try the pie. However, he persisted so I bought one the next time. I must say it is legit, downright tasty and surprisingly devoid of unhealthy ingredients. Highly recommended by my man and now by me. Awesome! I’m so glad you liked it. Thank you for taking the time to share your review. Hesitated on buying this new product! It was Delicious! Lots of Rotisser chicken. And the crust Great! Thanks Safeway!